"This hour in history needs a dedicated circle of transformed nonconformists... The saving of our world from pending doom will come, not through the complacent adjustment of the conforming majority, but through the creative maladjustment of a nonconforming minority." "The main American aim seems to be to gain control of the world's second-largest oil reserves and to dictate the flow of oil to the world market"
world wide Last Saturday, January 18, the day we celebrated the memory of Martin Luther King, we have been witnessing demonstrations all over the world against president Bush's determination to attack Iraq. In particular, this morning I have received an e-mail from my son James referring to how tired but happy some of his friends were as they participated in the Washington demonstration where some half million people protested against Bush's war. By the way, first reports from mainstream media put the number of Washington's protesters at 30,000! So make up your own truths as not only our own perspectives are different from each other, but some are outright lies. oil Bush's war against Iraq is not about the disarmament of Iraq as Iraq is not a present danger to the United States; it is not a war against Al Qaeda as there is no linkage between Al Qaeda and the Iraq's regime; it is not even a personal war against tyrannical Saddam Hussein as the same Americans along with the personal participation of Defense Secretary Donald Rumsfeld assisted Iraq's war against Iran in the 80ies. 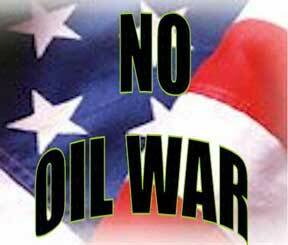 President Bush's war against Iraq is about OIL! way of life The United States is desperate about its need for OIL. 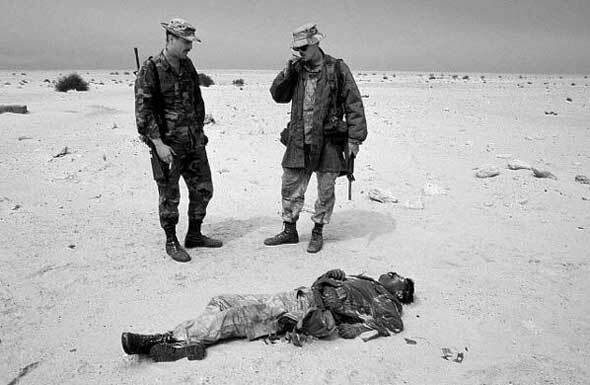 The United States is running out of OIL, yet the Bush administration is using its military strength to assert their economic and military hegemony all over the world. The United States imports about 60% of its oil consumption and guess who is making up for the shortage of imported Venezuelan oil? Iraq! reserve President Bush Inc. should understand of the United States' interdependency with every other country in the world, yet they feel they are above any other country. The Strategic Petroleum Reserve was set in the 70ies as an emergency relief against the possible interruption of oil supplies and such reserve has today the capacity to hold 700 million barrels. At the approximate 2001 oil consumption rate of 19,633,000 barrels per day, the Strategic Petroleum Reserve, at full capacity, would provide oil to run the country for about 36 days. 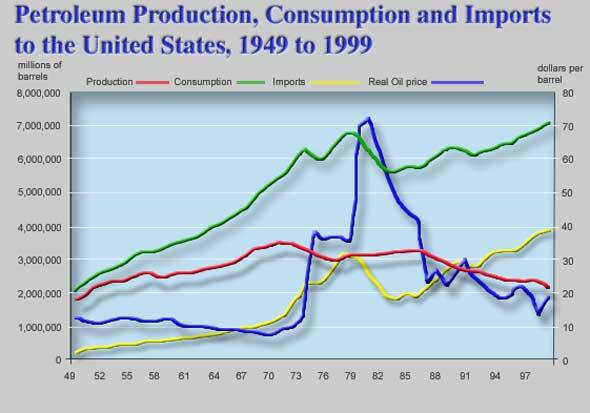 five years The United States, as in year 2001, had 30,400,000,000 barrels of proven oil reserve; this means that at the above mentioned 2001 oil consumption rate this proven reserve would be exhausted in less than five years! The United States needs oil before it converts to an alternate (hydrogen) energy based economy, and therefore it needs the cooperation of all countries to sustain its own economy, yet the United States is pursuing a unilateral foreign policy, and using its military strength to subjugate all the other countries in the world. We must stop president Bush's madness to wage a war against Iraq, for OIL and only OIL.